Established in 1966, StPOL University College of Hospitality Management and Culinary Arts is a private university college in Spain offering academic university degrees focused on the hospitality industry and culinary arts. It is a center for technical, undergraduate and masters training that prepares middle managers and senior professionals in gastronomy, restaurant service and hotel management. This Culinary arts and gastronomy school is the pioneer hotel management school in Europe offering a hotel training facility with its own restaurant and more than 50 years of experience, a founding member of the exclusive network Hotel Schools of Distinction, it has highly qualified international teaching staff responsible for student training in: culinary arts, restaurant management and room division management. This teaching combines the academics with renowned professionals in the industry. Get the best Culinary arts degree in Barcelona at StPol! 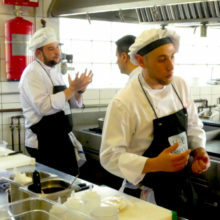 This Culinary arts school offers several university degrees in Barcelona taught in English and/or Spanish. This Culinary Arts School organizes every year the Professional Development Days (PDD) that offers a wide range of career opportunities. During two days, the Human Resources Recruiting staff of recognized hotels and restaurant interview the students. The 100% of them get, usually, more than one final internship proposal that will become a future employment (with an appropriate career plan). This service is a potent tool for all participants. It is provided exclusively to all StPOL University College of Hospitality Management and Culinary Arts students and Alumni. This practical training period take place in the appropriate departments of hotels and restaurants, according to their specialisation and level. The internships can be domestic and international. The University takes care to get personalized internships for its students in Spain and abroad. This contest takes place during the Gastronomy University Meeting (GUM). The winner is considered as the Best Young Cook in Catalonia. It is also one of the oldest culinary contests in the country. This cocktail contest is one of the oldest cocktail contests in Spain. 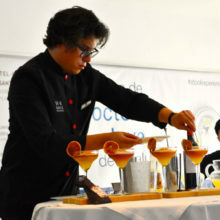 The winner will be considered the Best Young Cocktail Maker in Catalonia. This event takes place every year and it’s aimed to students and professionals younger than 25 years old living in Catalonia. StPOL University College of Hospitality Management and Culinary Arts has its own training hotel and offers amazing facilities to the students; hotel and restaurant open to the public, suitable facilities for the theoretical and practical learning, 6 gastronomic offers: set menu, a la carte, buffet service, testing menu, banquets and cocktail and bar service, 6 kitchen facilities adapted to teaching and residence halls. A global alliance of some of the most prestigious hotel management universities, in partnership with hospitality industry leaders dedicated to creating high-quality talent by sharing knowledge and research. Located in the north of Barcelona's province, Sant Pol stands out for its beaches and its the delicious cuisine based on fresh fish and organic food. The town was built around the Benedictine monastery of Sant Pol de Maresme, it has always been a cultural hub. Throughout the centuries, this beautiful village has changed its economy to tourism, being a town traditionally focused on agriculture and viticulture. Barcelona is one of the world’s gastronomic capitals as it is the home of some of the best restaurants in the world since the beginning of the XXI century. This Culinary Arts School in Barcelona's province is the best place to become an amazing chef. The Bachelor’s in Hospitality and Tourism Management is the first official degree in the field of Hotel Management imparted in Spain. Since 1966 the students gain practical experience in dealing with real customers from the very first day at the school training hotel. The study plan includes practical classes, theoretical classes and visits to restaurants, hotels, wine cellars, etc. The classes take place in small groups having from 10 to 25 students per class. All the students have to do at least one international experience in a foreign university or a professional internship. The students receive personalized training and accompaniment throughout their career in a progressive and transversal way with the aim of working on their Personal Brand. • Gastronomy, Restaurants and Events Management. Note: The total costs above include classes, the tuition fee, material for the classes, lunches on school days and breakfast/dinner on practice days, notes and wifi. It's not included; uniforms, books, deposit and academic fees. The Master's degree in Culinary Arts and Kitchen Management is divided between theoretical classes, practical workshops and a professional internship in a real restaurant. 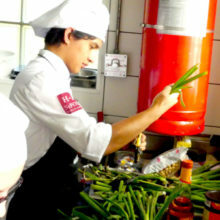 Some of the objectives of this master are; acquire knowledge of the administration and kitchen management of a cooking department, learn how to apply the newest cooking techniques (vacuum cooking, molecular cooking, cooking with nitrogen, etc. ), get to know the culinary trends and analyse the experiences in creativity and innovation in cooking, apply systematization and standardization processes in the development of the cuisine for different types of events, etc. To obtain the Master’s Diploma, the student needs to attend successfully the five modules, the thesis, and a professional internship. Note: The total costs above include classes, academic tuition, as well as other amounts like cooking ingredients for practical classes, notes, business practice insurance, internet and intranet access. It does not include: uniforms, health insurance, books, tuition taxes or diploma. The Master's degree in Hospitality Management is perfect for people willing to improve their careers in the hospitality field and also for people willing to change their career to move into this field. The training program includes industry guest lectures from renowned international hotel managers from distinguished hotel chains, allowing to learn about the latest trends in hospitality. This full-time degree in Hospitality Management in Spain has been built on students’ previous experience to offer a unique combination of marketable skills for the hospitality sector. It offers a unique professional Introduction module where the students spend a 4 week period in a hands-on program at the school’s hotel. • Food & Beverage and Restaurant Management. Note: The total costs above include classes, academic tuition as well as other amounts like cooking ingredients for practical classes, notes, business practice insurance, internet and intranet access and meals during academic activities. It does not include: uniforms, health insurance, books, tuition taxes or diploma.